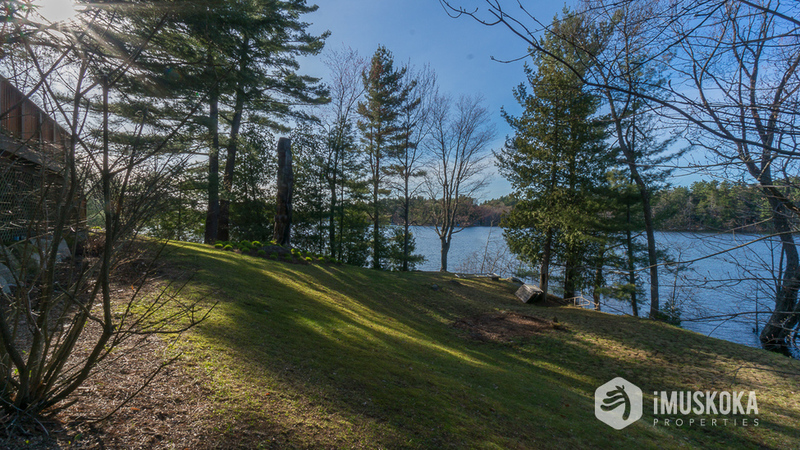 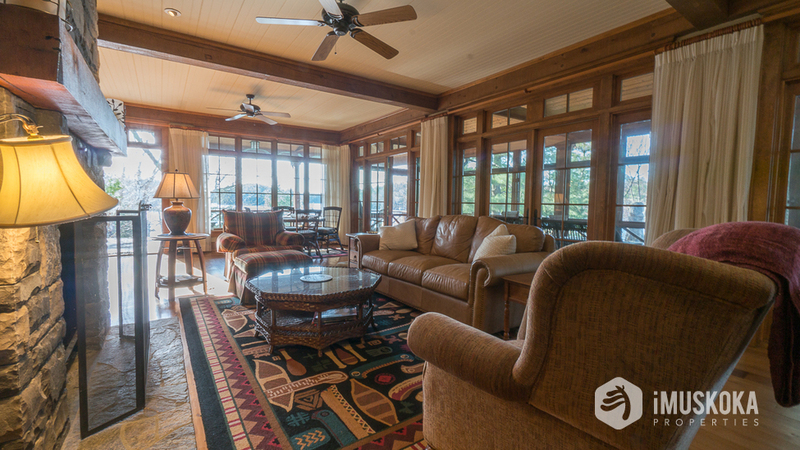 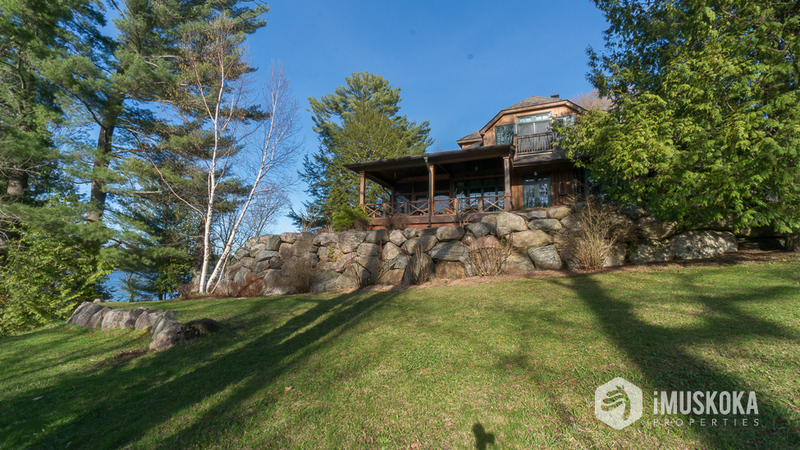 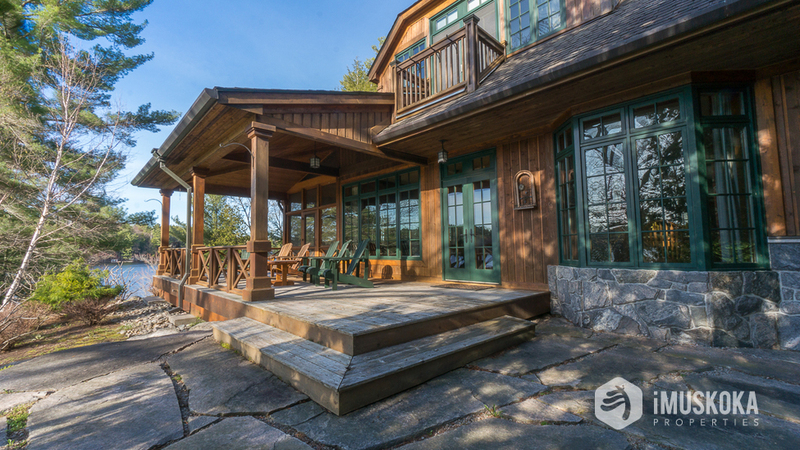 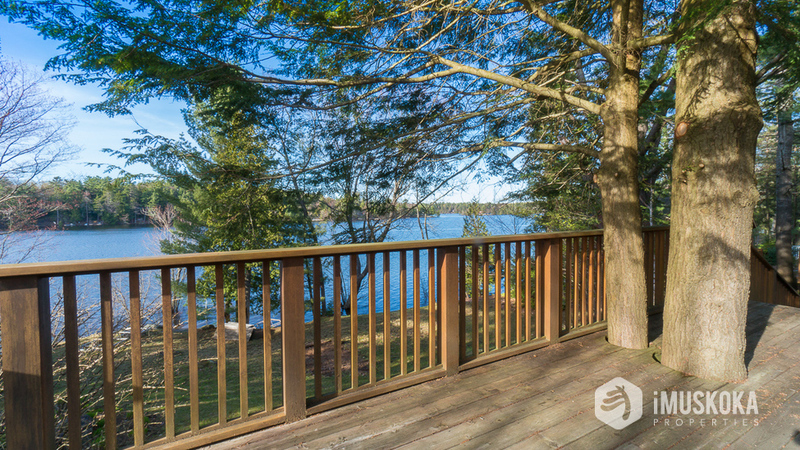 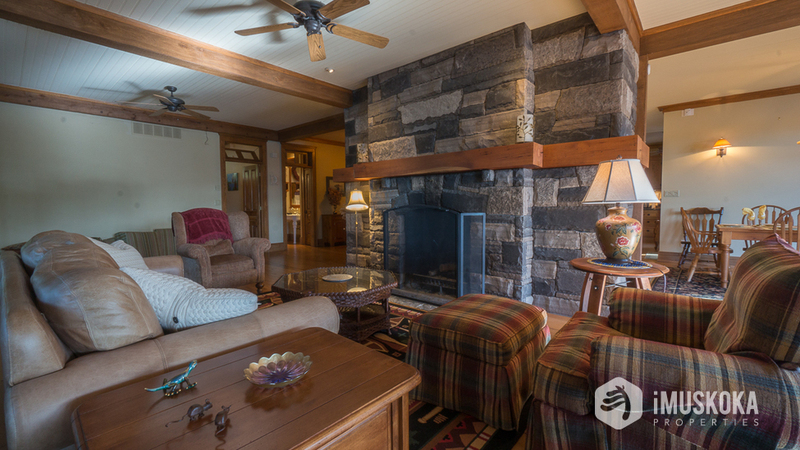 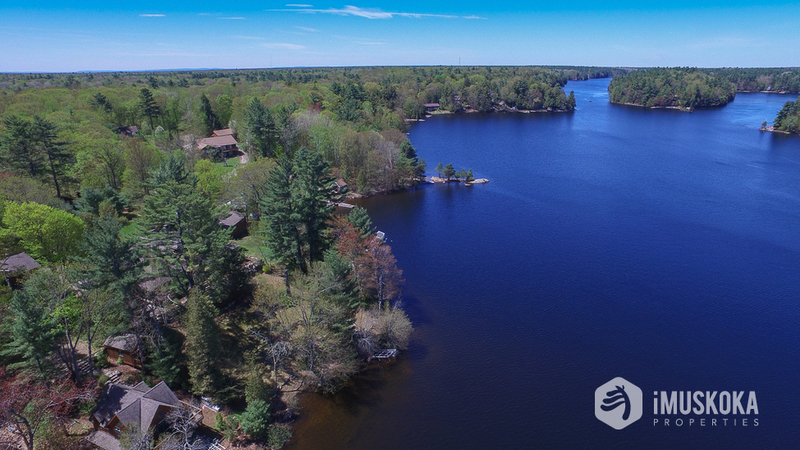 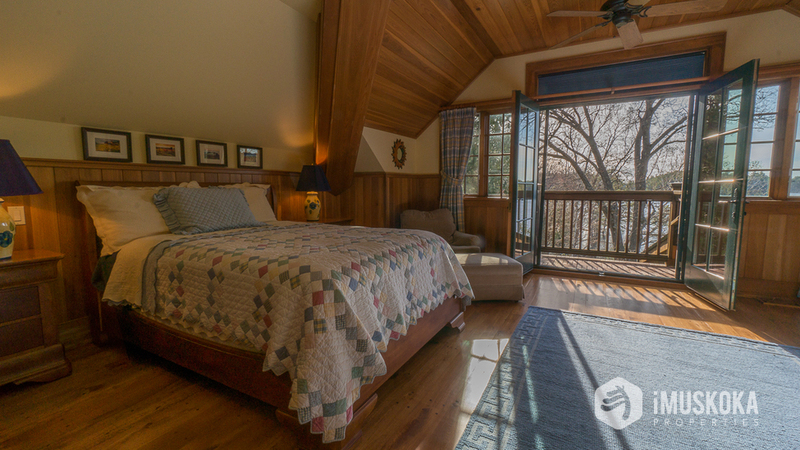 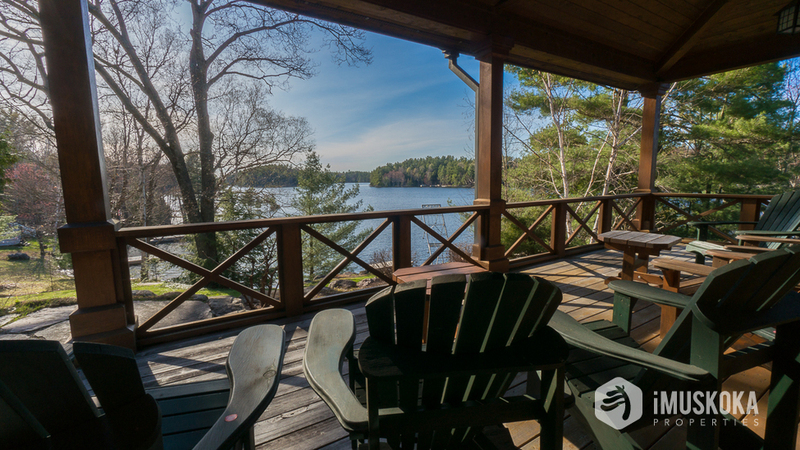 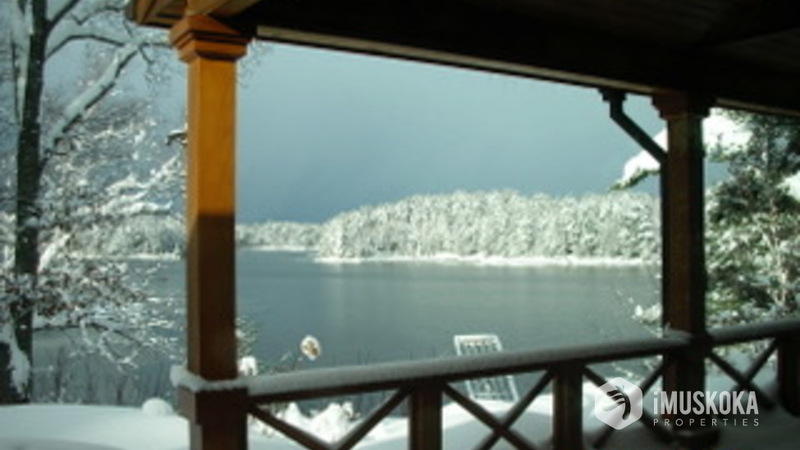 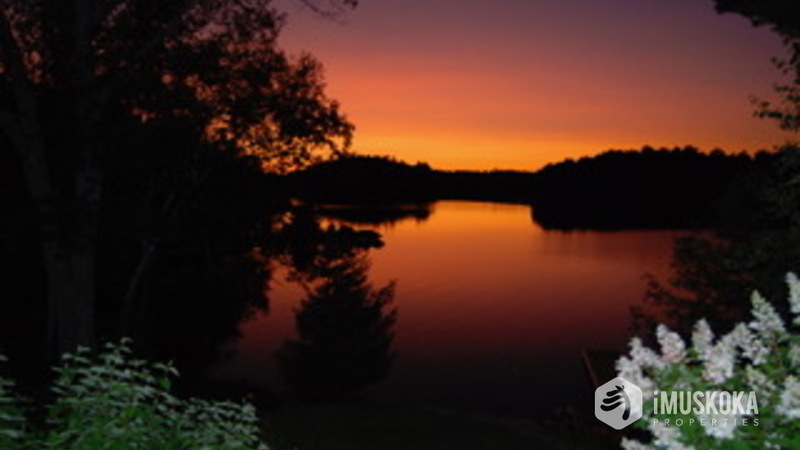 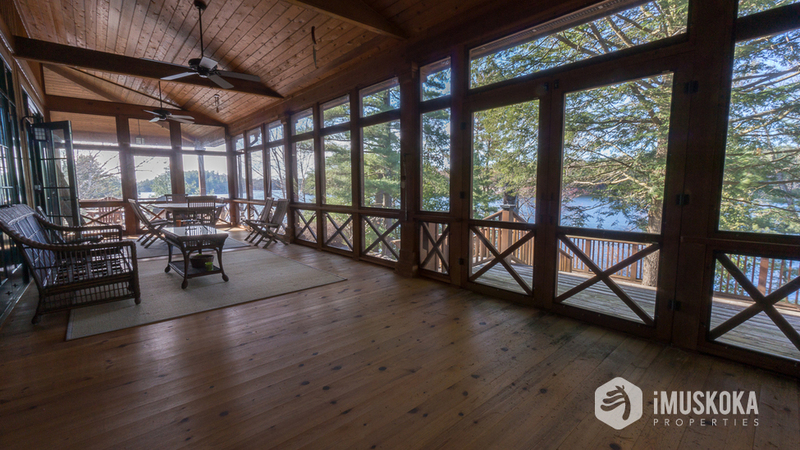 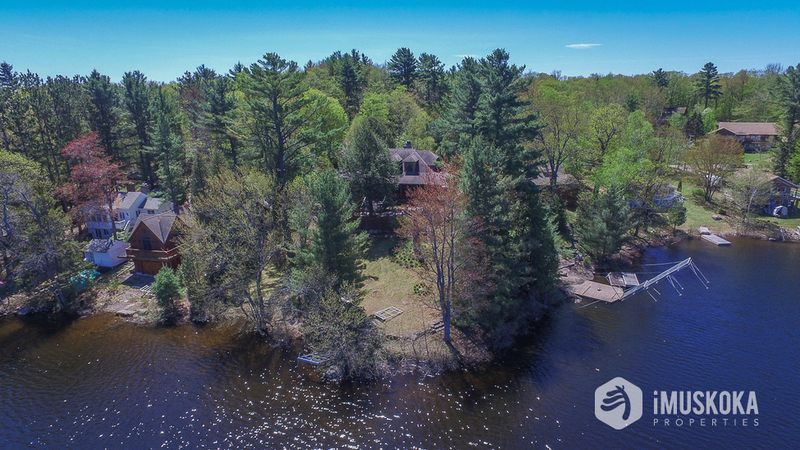 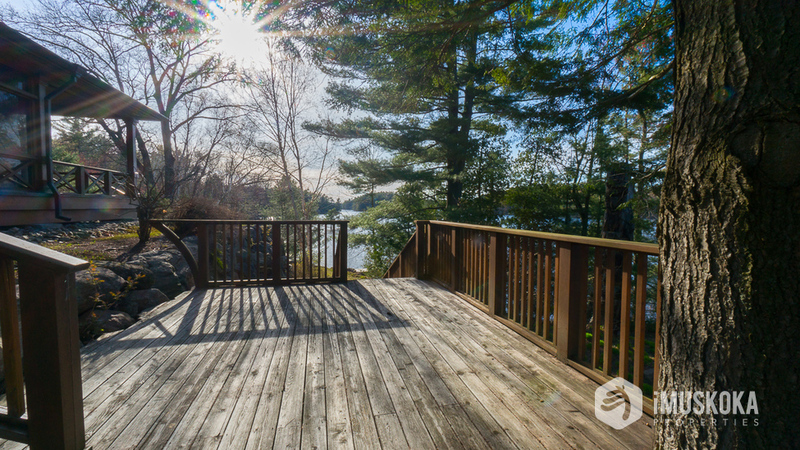 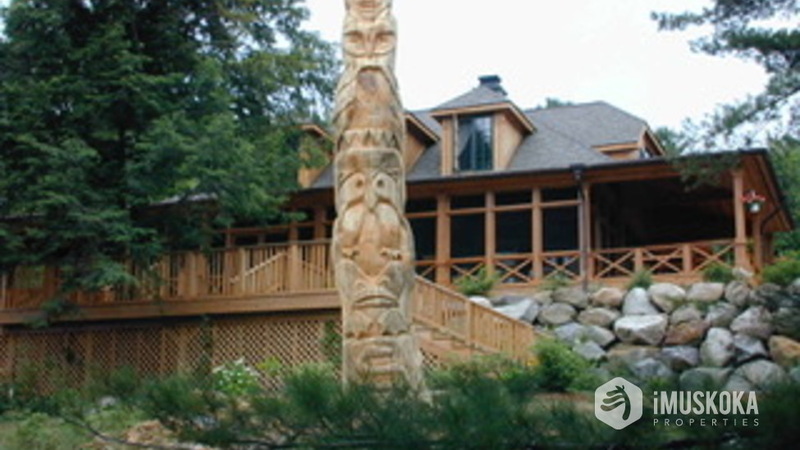 Originally part of the Hillcrest Resort, this property features a custom built cottage in 1999/2000 and has 6 guest cabins, ample space for all to enjoy. 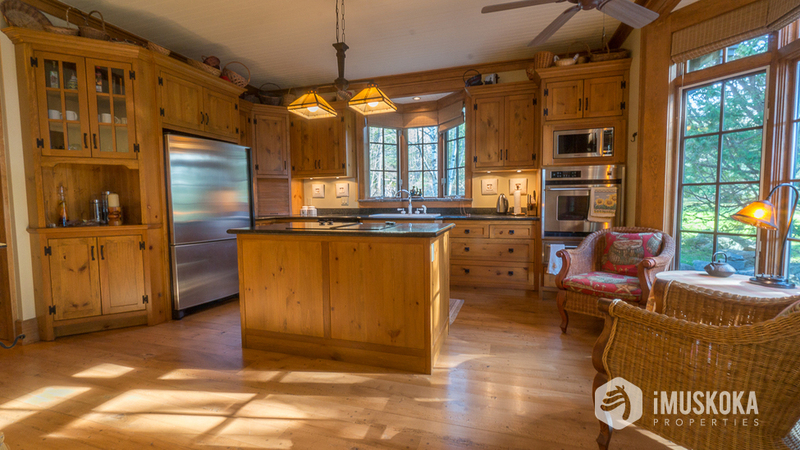 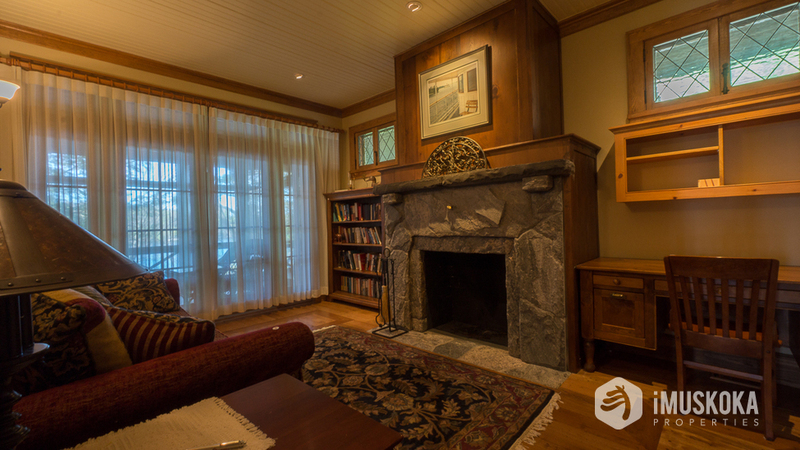 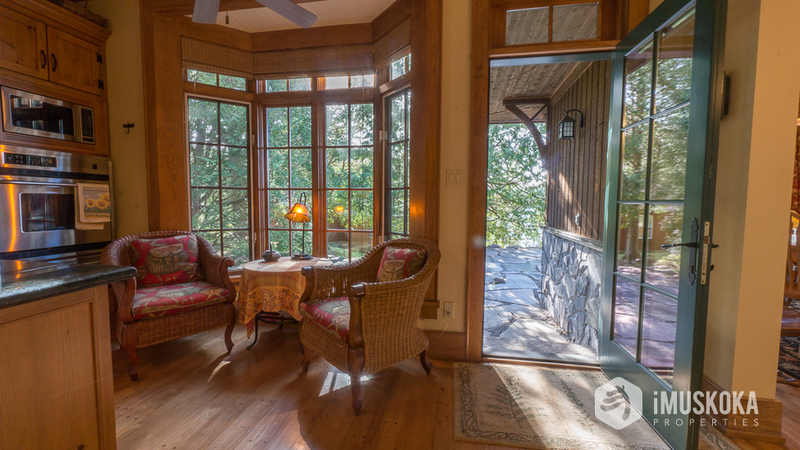 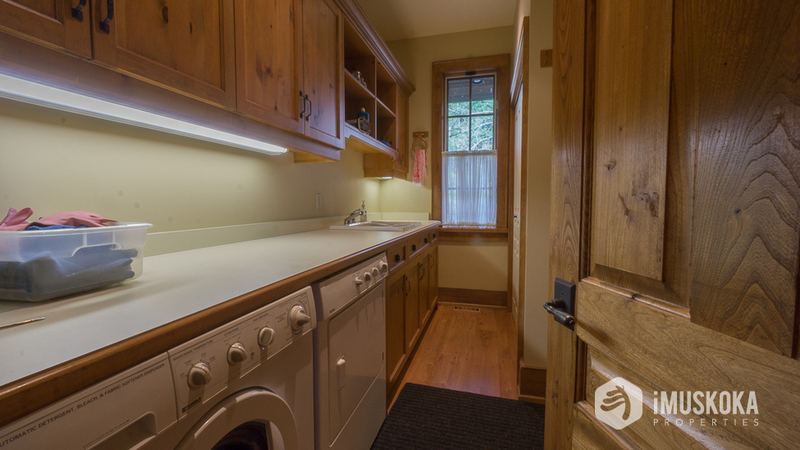 The cottage features reclaimed Elm floors, Kolby wood windows, 4 stone fireplaces, custom finishings and so much more. 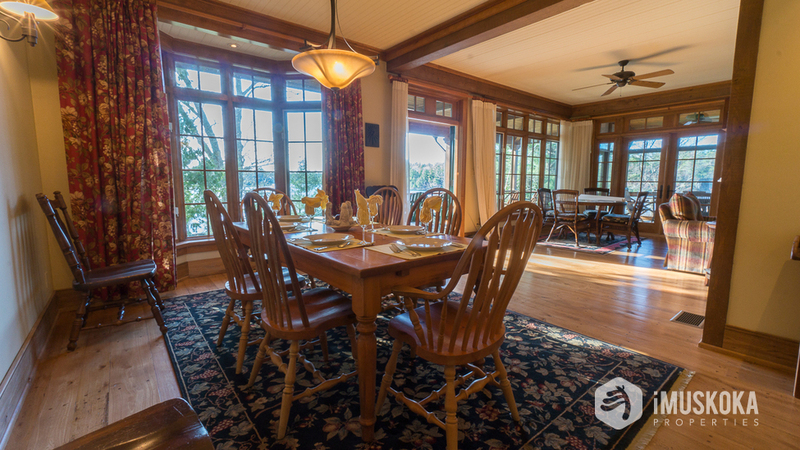 The grand Covered porch is the ideal gathering place for all of your family and friends overlooking the fabulous sunset northwest views down Moon River. 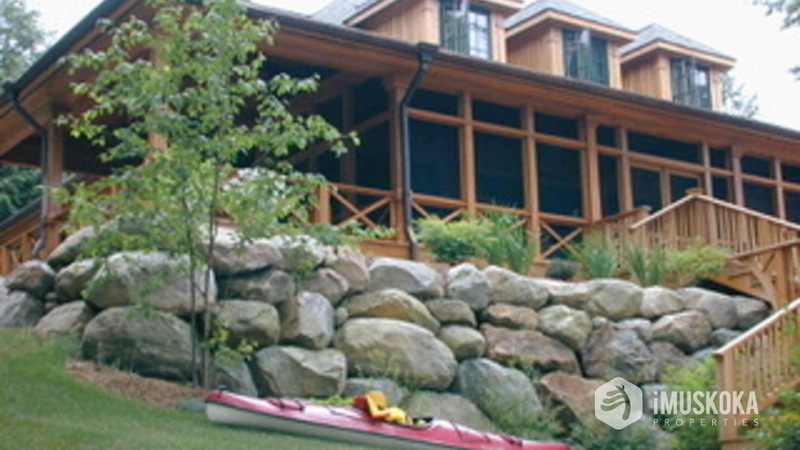 Landscaping by award winning Jansens Landscaping and features stone steps and patios around the property. 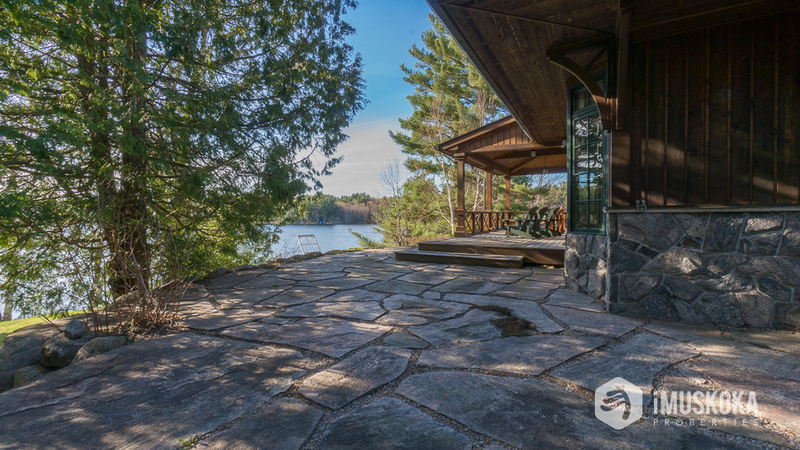 The double garage and being only minutes away to Bala complete this unique one of a kind offering.